Vulli Sophie the Giraffe Teether is just $18.53 (and with free shipping if you use Amazon Prime). 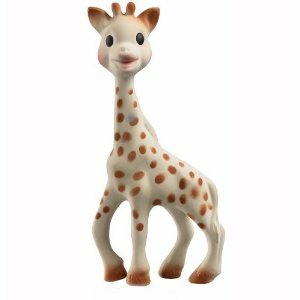 Vulli Sophie the Giraffe Teether is one of the most popular baby toys available and for very good reason! It has almost 2,000 Reviews with an average of 4 Stars. Moms and babies love it! They are so sure you will love it there is even a free 90 Day return offer. But we are sure that once your baby has tried it out you will just want to keep it! Parenting Magazine: 2 Year Subscription just $3!